So you have the + home + always with you. A touch of Ruhrpott romance at the keychain. An absolute + must have + for proud Pottkinder! 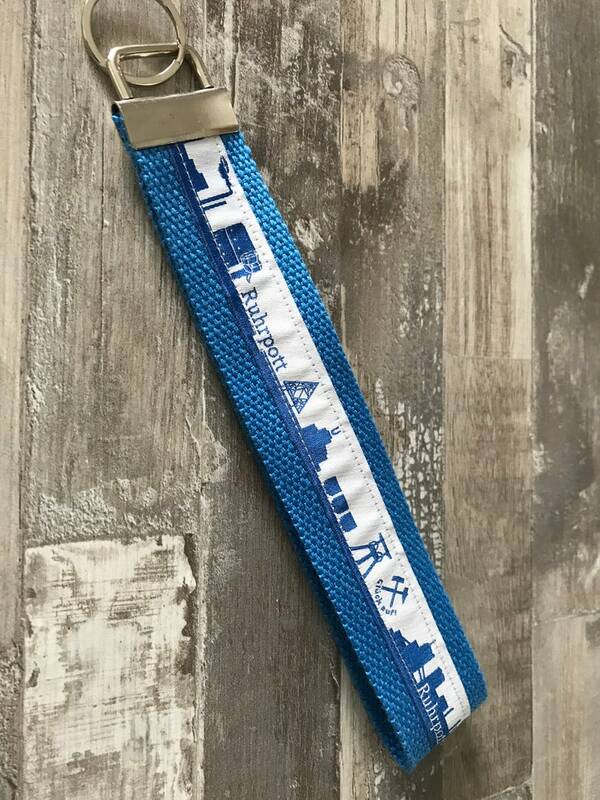 The WebBand with the skyline is sewn on the colourful and sturdy cotton strap. The key band is about 20 cm long and 3 cm wide.